It’s one of the hardest things to do in life – to truly forgive someone who has wronged you. It may be especially difficult when the one who harmed you is a brother or sister in Jesus Christ. Yet, God commands His people to forgive, and especially to forgive one another. To help us know how we should forgive, God gave us an example, a pattern: even as Christ forgave you, so you must also do. Understanding the way Jesus forgave us will always make us more generous with forgiveness, and never less generous. Jesus told a parable with that exact point, found in Matthew 18:21-35. The point of the parable is that those who have been forgiven have a special obligation to forgive those who sin against them. 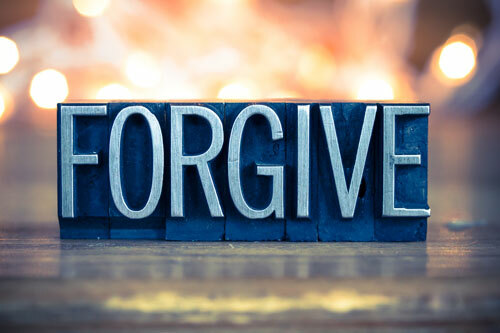 To say it simply, Jesus forgave us, so we have a special obligation to forgive others. When one thinks of how Christ forgave you it should make us much more generous with forgiveness. God reaches out to bad people to bring them forgiveness; the habit of man is to not forgive if the offending person is a person of bad character. God makes the first move towards us in forgiveness; the habit of man is to only forgive if the offending party really wants it and makes the first move. God forgives often knowing that we will sin again, sometimes in the exact same way. It is the habit of man to forgive only if the offending party solemnly promises to never do the wrong again. God’s forgiveness is so complete and glorious that He grants adoption to those former offenders. In the habit of man, even when forgiveness is offered, he will not lift again the former offender to a place of high status and partnership. God bore all of the penalty for the wrong we did against Him. In the habit of man, when he is wronged, he will not forgive unless the offender agrees to bear all or most of the penalty for the wrong done. God keeps reaching out to man to forgive him even when man refuses Him again and again. In the habit of man, one will not continue to offer forgiveness if it is rejected even once. God requires no probationary period to receive His forgiveness; in the habit of man, one will not restore an offender without a period of probation. God’s forgiveness offers complete restoration and honor; in the habit of man, we feel we should be complimented when we merely tolerate those who sin against us. This is a depth of forgiveness that we can only practice if the power of Jesus flows in us and through us. Is there someone you haven’t forgiven, especially a brother or sister in Jesus? Receive the forgiveness of Jesus, receive His strength and love, and forgive them in the mighty name of Jesus. Not only is it the best for them; it’s the best for you.